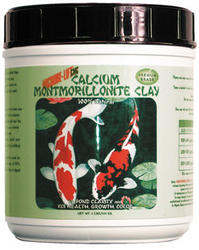 Microbe-lift Calcium Montmorillonite Clay is a 100% natural formulation for pond clarity and Koi health, growth and color. It provides fish nutrition through mineral ingestion, improves fish color and detoxifies and clarifies pond water. It is said the secret to healthy, colorful Koi is the clay mud in which they are raised. 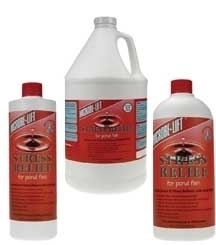 Microbe-lift clay comes from one of the highest calcium clay deposits in the world. Calcium based clay may help your pond water to produce some of the healthiest and deep colored Koi you have ever raised (or seen). 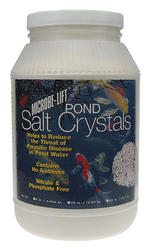 It is not only a nutrient source for your Koi but it will also "polish" your pond water. The clay acts as a naturall flocculent and the particles that are bound up are filtered out of the water. Available in 2# 4# 6# 25# and 50# bucket (special order).